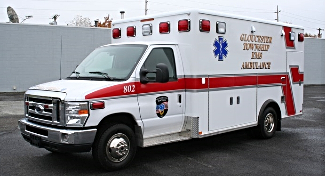 Welcome to Gloucester Township EMS. Our organization is committed to serving the residents and visitors of the Township of Gloucester, Camden County, New Jersey. Attention Patients: Please see our Patient Information Page for Privacy Information and our Patient Satisfaction Survey. Smart911 is a free nationwide service that allows users to create a Smart911 Safety Profile, which provides vital information to emergency dispatchers and first responders during an emergency. Camden County residents are encouraged to create their safety profile with Smart911 to have their information available to dispatchers and to receive emergency notifications. Smart911 is private and secure, is only used for emergency responses, and only made available to the 9-1-1 system in the event of an emergency call.